Chef Laura Frankel’s recipes develop flavor with some time on the stovetop before being added to the slow cooker, but it’s not enough to compromise the slow cooker’s convenience. 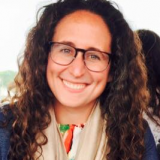 With the rerelease of her popular cookbook, “Jewish Slow Cooker Recipes: 120 Holiday and Everyday Dishes Made Easy,” chef Laura Frankel is able to add modern appeal to two things stigmatized by prominent—if unfair—reputations. The first is the humble slow cooker, thought of as a convenience product that will put dinner on the table but limit the cook’s creativity. When all you’re doing is throwing something in a slow cooker and keeping it hot all day, how can you get any flavor development? The second is kosher food, which is often considered predictable, and even boring. The truth is that both the slow cooker and kosher food can facilitate interesting, modern meals. I already knew the latter, but I have a confession: Until I was sent a copy of Frankel’s cookbook, I’d never used a slow cooker. I understood the allure of them, but I was one of the disbelievers who thought they were only for busy parents who were willing to sacrifice flavor for easy, hands-off recipes. I dug out a slow cooker from the basement and worked my way through the cookbook. After just a few dishes, Frankel had made me a believer. Her recipes develop flavor with some time on the stovetop before being added to the slow cooker, but it’s not enough to compromise the slow cooker’s convenience. The recipe below, for cauliflower-apple soup, is a perfect example of this technique. Caramelizing the cauliflower, apples and onions on the stovetop before adding them to the slow cooker gave the soup deep flavor. It was great on its own, but a duck confit garnish—the recipe for which is included in the book—amped up the savory aspects and made the dish feel like a meal. And best of all, the recipes for the soup and the confit can be made well in advance. The 120 kosher recipes included in this book are anything but boring. Traditional dishes such as rubbed brisket and brown sugar-glazed corned beef are mixed in with recipes with global flair, including Szechwan chicken with star anise sauce and Moroccan-spiced duck with sweet-tart orange sauce and forbidden rice. Frankel even includes a section of curated menus for holiday meals, including one for Rosh Hashanah, simplifying the cook’s work even more. 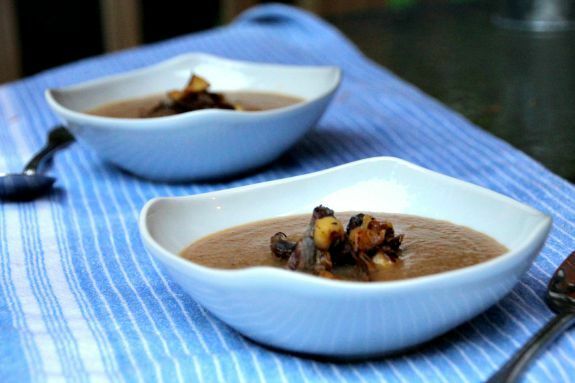 This elegant chilly weather soup makes a perfect first course for a Sukkot (the Jewish harvest holiday) dinner or for any special occasion. The apples and cauliflower combine in style. You could serve the soup ungarnished and enjoy a chic, modern soup or add the duck confit and gild the lily with rich, silky texture and flavor. The soup can be stored, covered, for up to 3 days, or frozen for up to 1 month. The garnish can be made up to 3 days ahead of serving and reheated in a sauté pan over low heat. 1. Make the soup. Preheat a slow cooker to low. Place a large sauté pan over medium-low heat. Lightly coat the bottom of the pan with olive oil. Cook the onions, stirring occasionally, until they are very soft and browned, about 20 minutes. Add the garlic and cook for 3 minutes more. Transfer the onions to the slow cooker insert. 2. Lightly recoat the same pan with additional olive oil. Increase the heat to medium. Add the cauliflower and apples to the pan. Cook, stirring occasionally, until the cauliflower and apples are soft and lightly browned, about 10 minutes. 3. Add the wine to the pan. Increase the heat to medium-high and gently scrape up any browned bits with a wooden spatula. Transfer the wine, cauliflower, and apples to the slow cooker insert. Add the thyme and chicken stock. Cover and cook on low for 5 hours until the cauliflower is very soft. 4. Make the duck confit. Place a small sauté pan over medium heat. Add the duck fat. Add the shredded duck, shallot, thyme, and apple, and sauté until the apple pieces are lightly browned and soft, about 10 minutes. Keep warm. 5. Puree the soup in batches or use a stick blender. Season the soup with salt and pepper. Ladle the soup into bowls and garnish with a heaping tablespoon of the duck and apple mixture. Sprinkle with the chopped parsley and thyme. 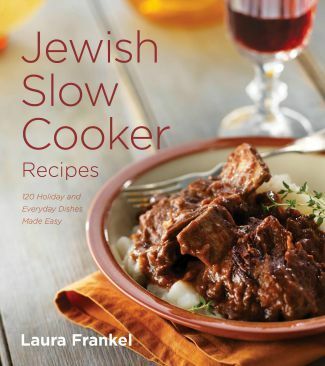 Reprinted with permission from “Jewish Slow Cooker Recipes” by Laura Frankel, Agate Surrey, 2015.